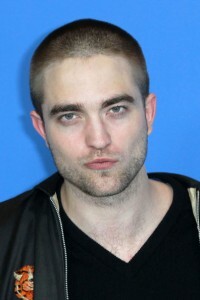 You'd think any actor would jump at the chance to work in a film that stars Robert Pattinson. Think of the exposure they'd get! "Everybody keeps asking me what Pattinson was like," Jay Baruchel told us last night at the premiere if his new film Goon at the Directors Guild in West Hollywood. "He's a lovely man, incredibly polite and very disarming, but I was just there because [director] David Cronenberg is my idol," he said. "I got to be directed by my hero and I would have just picked up his dry cleaning, so the fact that I'm in it—I don't even remember what I did. I was just kind of there watching the whole time." In the flick, Baruchel plays a man who starts a tech company alongside Pattinson. And we're surprised to hear none of Baruchel's friends or family begged him to come to set to meet the Breaking Dawn actor. "I surround myself with girls who keep their stuff on the DL," he grinned. "So I think my sister kept it to herself." 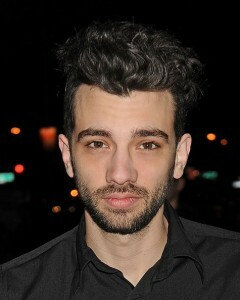 Is Baruchel even a Twilight fan? He laughed, "Not really." Too bad Cronenberg didn't direct one of the Twi-flicks!